Collect real-time data on the state of your coffee machines and their production. Use the data to create custom business intelligence and consumer behaviour reports that are globally available and up to date. Manage vending machines remotely and attain up-to-date information on stock and machines that are out of service. Use it to plan servicing routes, reduce machine downtime, eliminate unnecessary visits and reduce fuel expenses. The Vendon telemetry product consists of two components – a custom-built hardware unit that is connected to each machine, as well as cloud-based data analytics software. Together they collect and display real-time data in custom-configured dashboards to facilitate decision making and improve efficiency. Though the components work best together, they can function with 3rd party systems via API connections. "Vendon solution is a formidable multiservice tool which brings to each of our employees and collaborators essential data to measure and manage activities. Beyond the service, we particularly appreciate the simplicity of the vBox gateway, the ergonomics of the WEB interface application and its ease to configure." 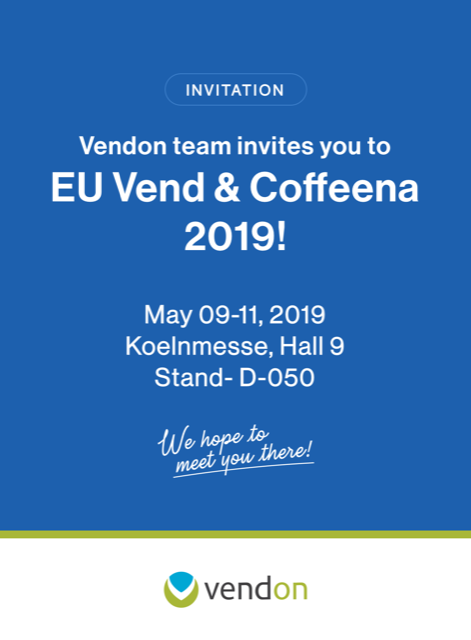 "The Vendon telemetry solution for vending machines has become the integral component of our vending operation. It provides real-time, detail insight on all aspects of our business, including cash control, route management and up to the minute alerts of any occurring faults. The cloud based user interface is beautifully designed and simple. This allows me to continue managing my business regardless of my location on this planet."